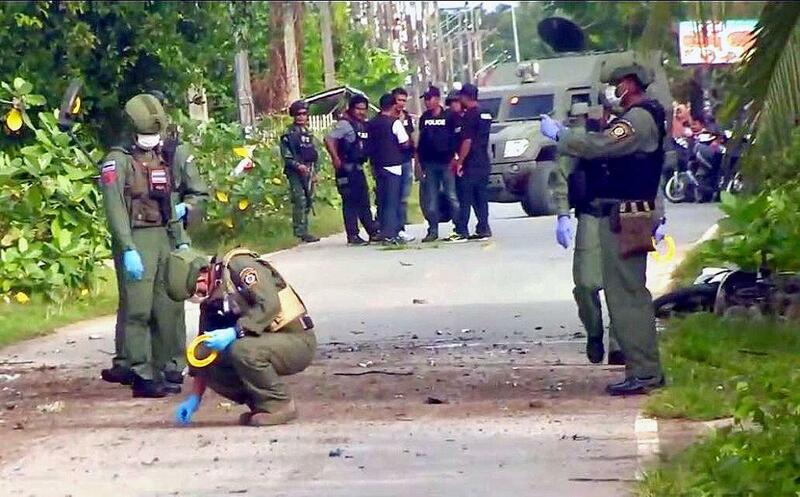 BANGKOK, Jan. 19 (Xinhua) -- Thai Prime Minister Prayut Chan-o-cha Saturday condemned the gun attack in Thailand's southern province of Narathiwat that has killed at least two monks on Friday, ordering a hunt for the attackers. Prayut has instructed officials to urgently investigate the incident and step up security measures in the province. He asked the public to have confidence in the government's commitment to restore peace in the county, said government spokesman Puttipong Bunnakun. About 10 militants in camouflage black uniforms stormed the temple and opened fire with automatic weapons on Friday night, killing the temple abbot and another monk. Two other monks were seriously injured and were later rushed to the district hospital by security forces. Witnesses said the attackers shot randomly inside the temple.